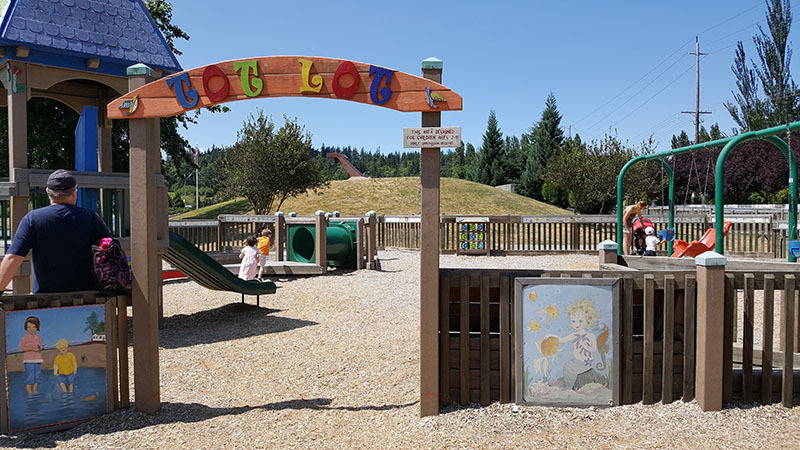 In 2007 a group of 1,000 volunteers sponsored by the Stanwood Camano Rotary built a 12,000 square foot playground in 5 days and called it Freedom Park. This park is loved and used by kids of all ages. With views of Mt. Rainier, Discovery Bay, and the local businesses of Terry’s Corner, Freedom Park is a great place to bring the family for a few hours or the entire day. A big THANK YOU to Puget Sound Tree Care for helping remove dangerous trees in the park. Error: Error validating access token: Session has expired on Sunday, 31-Mar-19 10:41:43 PDT. The current time is Saturday, 20-Apr-19 07:48:21 PDT. 500 E. North Camano Dr.
© Freedom Park Association 2019. Allegiant theme by CPOThemes.